Tak Bai (Thai: ตากใบ, pronounced [tàːk bāj]) is a border town on Malaysia-Thailand Border, the capital of Tak Bai District, Narathiwat Province. Visitors can visit Malaysia by Pengkalan Kubur pass, Kelantan state. Administratively it is a town (thesaban mueang), and covers 9.14 km² of the subdistrict (tambon) Che He. As of 2007 it has a population of 17,317. It is the location of the Tak Bai Incident of 25 October 2004 in which at least 85 demonstrators died. The town was created as a sanitary district (sukhaphiban) in 1956. Like all sanitary districts, it was upgraded to a subdistrict municipality (thesaban tambon) in May 1999. On 31 January 2008 it was upgraded to a town (thesaban mueang). ^ "Population statistics 2007". Department of Provincial administration. Archived from the original on 2012-08-05. ^ ประกาศกระทรวงมหาดไทย เรื่อง จัดตั้งสุขาภิบาลตากใบ อำเภอตากใบ จังหวัดนราธิวาส (PDF). Royal Gazette (in Thai). 73 (75 ง ฉบับพิเศษ): 92–93. September 20, 1956. ^ "รายงานการประชุม คณะกรรมการพิจารณาร่างกฎหมายของกระทรวงมหาดไทย คณะที่ 2 ครั้งที่ 51/2550". Ministry of Interior. 2007-11-22. Archived from the original on 2008-09-10. 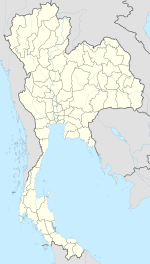 This Narathiwat Province location article is a stub. You can help Wikipedia by expanding it. This page was last edited on 12 June 2018, at 01:10 (UTC).